A gentle, heartwarming novel about two octogenarians in a small Missouri town who come to the aid of a vulnerable pregnant teenager. ...a near-perfect escape from these anxious times ... The Story of Arthur Truluv is sweet and light and completely free of politics. It’s about love, hope and second chances. Miraculously, Berg’s slim story — it runs just over 200 pages — manages to settle into these themes without being sugary or cliche ... In some ways, Berg’s book is a fantasy that challenges the reader to cast aside cynical assumptions and see the good in people and in the world ... I finished Berg’s novel in one long sitting on that gray afternoon. For several days afterward, I felt lifted by it, and I found myself telling friends, also feeling overwhelmed by 2017, about the book. Read this, I said, it will offer some balance to all that has happened, and it is a welcome reminder we’re all neighbors here. Berg again shows her gift for creating appealing characters whose lives change in unexpected ways ... While Berg takes some improbable narrative turns, her well-drawn characters hold sway in the novel. Who can resist the kindhearted Arthur ... I thoroughly enjoyed hanging out with these lovable people in Berg’s world of unabashed optimism. Sometimes that’s just what’s needed. Berg writes with a knowing hand about each character’s angst and anguish ... Truluv is a novel for these contentious times. We could all use a bit of Arthur's ego-free understanding and forgiveness of fellow human beings. 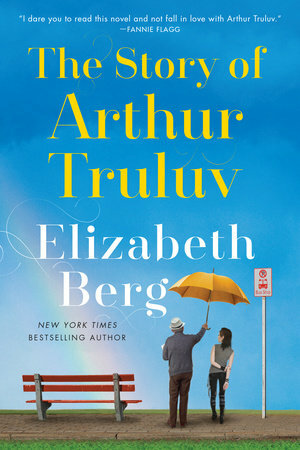 What did you think of The Story of Arthur Truluv?